In ancient times, swimming and rowing grew out of the needs for fishing and fighting on water and developed, usually in connection with festivals, into sporting activities with a strong national colour, such as the dragon-boat race. 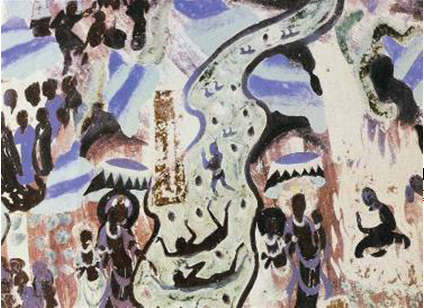 Swimming among lotus flowers: A mural in Mogao Grotto No. 257 in Dunhuang, Gansu Province, built in the Northern Wei Dynasty (386-534). 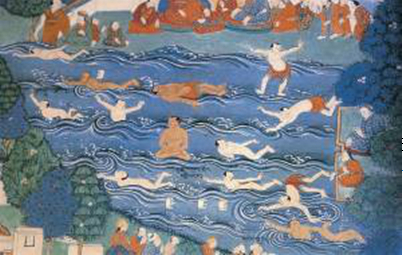 Churning through the waves: A Qing mural in Potala in Lhasa, Tibet Autonomous Region. 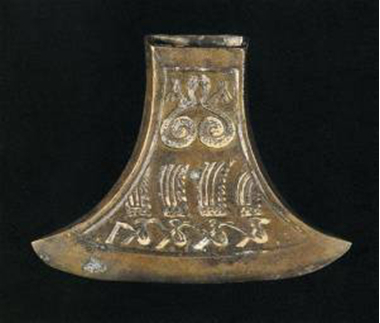 A bronze axe in the Spring and Autumn Period (770-475), excavated in 1976 in Yinxian County, Zhenjiang Province, with the upper part of the design showing a pair of dragons and the lower part some dragon-boat rowers wearing feathered headgear. A bronze drum unearthed in 1976 in Guixian County, Guangxi Zhuang Autonomous Region, dating back to the Western Han Dynasty (206BC-AD25), depicting six crews in a dragon-boat race. 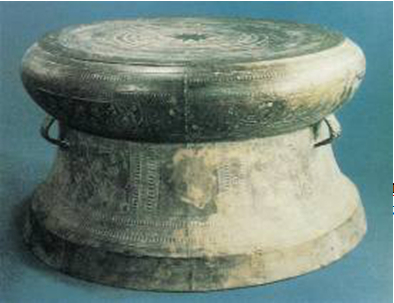 Another Western Han drum with a design of dragon boats, excavated in 1972 in Xilin County, Guangxi Province.